Here is my video on the Atari 7800 classic Food Fight! Halo and Army of Darkness are the only 2600 Homebrews I have and I really like them! No disrespect meant to anyone else's work but Halo 2600 may be the greatest Atari 2600 homebrew ever made. That would have done so well had it been released in 1982. I'll also place Thrust+ Platinum by Thomas Jentszch up there along with Juno First for 2600 by Chris Walton. Lots of great people out there doing amazing things on these old game systems. Halo may be the one that I give the most play. Have you tried any Champ Games or Spiceware games??? Have you tried any Champ Games﻿﻿ or Spiceware﻿ games??? Yes! Those are Top Shelf games @Arenafoot. Absolutely some of the best. Happy and Scramble for Atari 2600 by Champ Games are incredible. If I didn't know any better I'd think those were ColecoVision games, the graphics and gameplay are so well done. 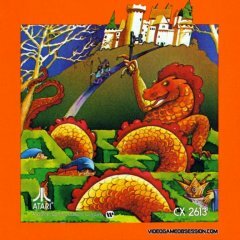 I also like Medieval Mayhem and Draconian for Atari 2600 by Spiceware. I'm a big Warlords fan and it's nice to see someone give it the 2600 version it deserves. 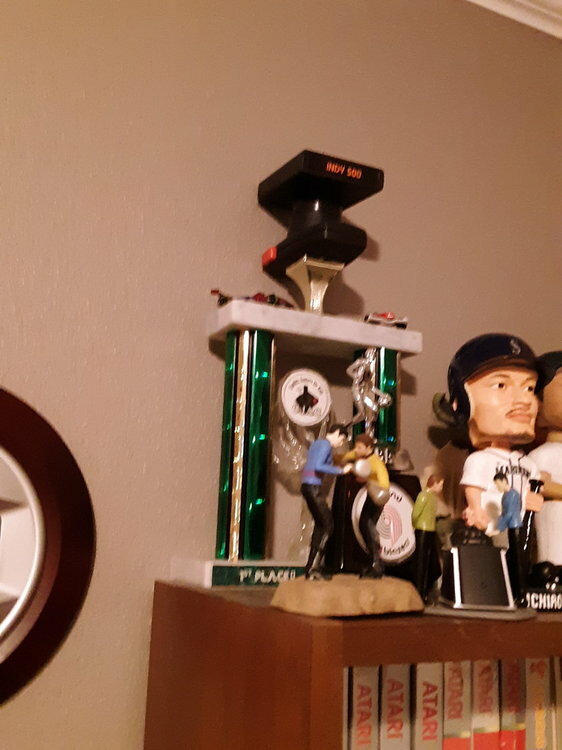 Giant Ichiro protects the trophy after Pike beeped twice. Awesome video @Br1ans Man Cave!!! Right out of the box you come out explaining that you need the manual, how to play the game, giving us some pretty nice tips. I have a soft spot in my heart for E.T. and I really appreciate you being fair to the game, not doing a clickbait E.T. rant like everybody else, actually taking the time to explain the game and help us Atari gamers get through the game and find something to enjoy. Well done.